In 1933, Aharon Ben Zvi Moritz began to lobby the British Mandate authorities to cancel customs duties on the import of rough. His efforts bore fruit in 1936, and the the establishment of the diamond industry in Israel was now possible. In 1937, Yosef Nadel began to receive half-finished diamonds by post from Antwerp. He polished them at home. Another home polishing business was opened by Sam Muad in Tel Aviv. That same year, Zvi Rosenberg and Eshed Daskel opened the first diamond factory in Zvi Rosenberg’s home in Petah Tikva. That same year, the “Diamond Club” was established at the home of Akiva Arie Weiss on the corner of Herzl and Ahad Ha’am in Tel Aviv. The original building still stands. 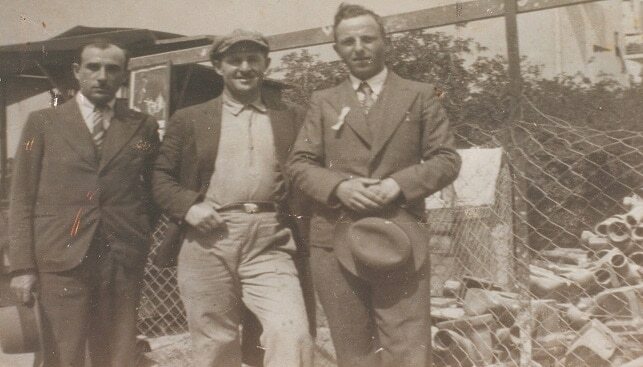 During WWII, Oved Ben Ami travelled to London and succeeded in motivating De Beers, by then the biggest supplier of rough diamonds in the world, to ship rough diamonds to Israel. In 1939, the first polishing factory, “Ofir”, was established in Netanya. Netanya would later become the “city of diamonds”. That year, four diamond factories were active in Tel Aviv: at the Red House in Nachmani Street, Karol Pickel’s factory in Ha’Gra Street; Moshe Ofen’s factory, and the “Ofir” factory in Netanya, owned by Rosenberg and Morgenstein.